David, a shepherd, addresses the LORD as his shepherd. Hmm. And when Jesus invites Peter initially, and re-invites him again after the Resurrection, it is in the areas of his competence. You are a fisherman? Well then, fish men. You have laboured all night and caught nothing. Well, cast your net where I tell you to and be astounded. And Peter catches 153 fish. It’s easy to recognise our need for God in our areas of weakness. But our areas of competence, if surrendered to him, can bring the most surprising revelations of how we can do exceedingly abundantly more than we imagined with his ideas, and his power. Hmm. 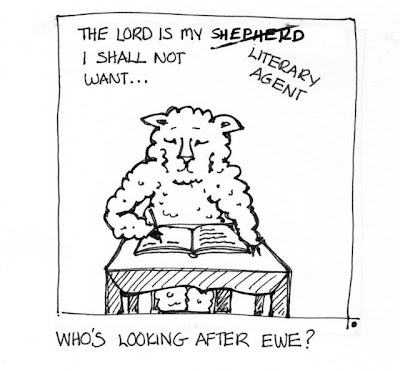 Whom would you rather have as a literary agent–the Lord or Rachelle Gardner (of whom I know nothing, by the way, so nothing personal)? Whose advice would be more helpful? Who’s more likely to have good ideas and inspiration? Who’s cleverer and more creative? Who has more power to open doors? Who can lead you by the quickest, swiftest way to reach as many readers as you can be a blessing to? “speak frequently to large groups.” Your proposal lists every speaking engagement for the last year, and every speaking engagement already booked for the future, including the date, the event, and the NUMBER of people you spoke to. If you’re regularly on radio, what’s your audience size according to Arbitron? If you write for a regular newsletter or journal, what’s the circulation? And how might one have time to write, prithee, with all this relentless self-promotion? As a benchmark, you could shoot for 500 fans on your Facebook profile page and 15,000 monthly page views to your blog. Building a platform takes time—sometimes, a lot of time. Sometimes non-fiction authors need to set aside their manuscripts and focus on gathering their tribe for awhile. 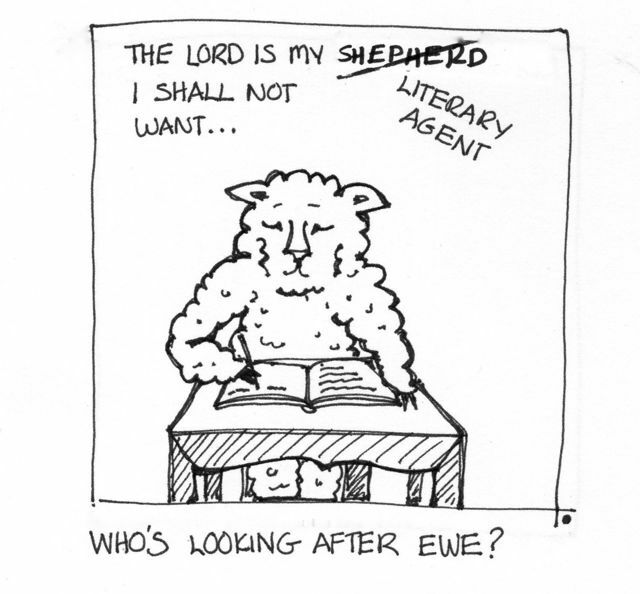 And if the Lord was my literary agent–which (thank God!) He is? He advises me to spend more time with Him, so that what I write is drawn from eternal wells. He advises me to keep my blog readership growing steadily, which it is, and suggests simple do-able strategies for this. He doesn’t suggest 15,000 page views, just growth. 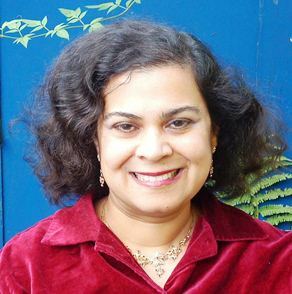 He also tells me that if my blog blesses people, many of them will buy the reasonably-priced books that spring from the blog, whether self-published or conventionally published. There is rest and joy and peace in what the Lord advises, no stress, none of the relentless push for more, more, more. His strategies and advice are do-able. And I do believe that books and ideas that come from God will last longer, and bless more people than market-driven ideas which spring from the brains of literary agents. Whatever our profession is, the Lord knows how to do it better, and WE can do it better if we lean on his guidance and inspiration. The Lord is my muse and my literary agent. @Jo, What an amazing illustration, Jo. I've used it now, with attribution! Thank you! @ Malcolm, thank you very much! Wonderful, and just what I needed to read this morning as I wait for a publishers decision. Good to be reminded where it all comes from and who it's all for! I've made a little tribute.